Ben Bernanke’s latest statements on QE hit the gold market hard, driving prices down below the $1300 level in this morning’s trading. There could still be worse to come for the gold bulls! FUNCHAL, MADEIRA (Mineweb) - Some heavy selling following Ben Bernanke’s upbeat statement suggesting a cutting back of QE later this year, and a possible end next, hit gold hard overnight with the bullion price falling back close to $1300 before making a small recovery – and then falling back again in London to breach the $1300 level on the downside in a very volatile market. There were renewed sales from the big SPDR gold ETF, GLD, taking it down below 1,000 tonnes for the first time since February 2009. 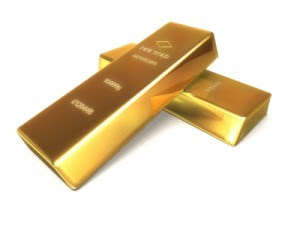 SocGen’s analyst Michael Haigh was predicting a fourth quarter gold price average of only $1200 while Nouriel Roubini would have been smiling given his recent prediction that gold would fall back to $1,000. The U.S. dollar surged, seemingly yet another nail in gold’s coffin. All in all something of a perfect storm for gold bears. Could the downturn be turning into a rout? It hard to tell through all this volatility but some of the attacks on gold are misguided. There appears to be a general belief that gold protects against inflation, thus if inflation is taken out of the equation, gold must fall. But long term research doesn’t necessarily show this to be accurate. Gold does tend to rise on fears of inflation, but some of its best performances in the past have been in recessionary periods – and most notably during the years of the Great Depression of 1929 and thereafter. We’re not saying that we are heading for a repeat of this, but the dangers that we could be falling into another such period are far from over. The U.S. economy in particular is not yet picking up in a manner that suggests the downturn is behind us. Europe remains in a huge financial mess. Unemployment levels remain horrendous for a nation and economy the size of that of the U.S. and Bernanke latest comments suggest a major U-turn from his original statements that QE would continue until the employment situation improves substantially. Unemployment is refusing to respond despite the billions of dollars poured into trying to stimulate the economy. Inflation remains low, although probably not as low as official statistics make out. The danger, though of calling an abrupt halt to QE, or even of cutting it back, is that this in itself could tip what is still a fundamentally weak economy into recession and possibly into depression. And coming back to Europe. If we see U.S. unemployment levels as too high, how about those over here! Spain and Greece are seeing unemployment levels of well over 20% and youth unemployment at a potential revolution-generating level of well over 50%, with no sign of falling back. Portugal is approaching the same levels. Two of Europe’s mega economies, France and Italy, are seeing double digit unemployment and rising, and their youth unemployment levels are 26.5% and 40% respectively – also rising . Even the German economy – the biggest beneficiary of the Eurozone as a weak Euro has kept its export economy very competitive in world markets – is beginning to turn down. None of this suggests anything like an end to the global financial crisis. Thus, as we suggested in an article yesterday, the downwards movement in the gold price appears to be almost totally fixated on the fortunes of a single economy, that of the U.S., which is perhaps not as robust as its politicians and Central Bankers make out. The economic fortunes of the rest of the world are seemingly being ignored. What now remains to be seen is whether the Chinese will take up the slack in the gold market yet again, or whether some kind of purchasing fatigue will have set in given the continuing poor performance of precious metals prices. The Chinese economy appears to be faltering too with growth at far lower levels than we have been used to – but growth nonetheless! But the appetite for individuals to buy gold, and find the wherewithal to do so, has so far been undiminished. Will the continuing flow of gold and silver from West to East continue unabated? That is the question facing the gold markets. If the Chinese don’t come in as major purchasers then things could get worse for the gold investor before they get better. The other factor to watch is whether some of the major short positions in gold and silver on the COMEX now get unwound at the lower prices. If this happens gold and silver could both be set for a major upturn, regardless of China, as the big banks and hedge funds start to look for major profits on the upside. For the gold bulls though, the worst may well yet not be over. For gold miners, developers and explorers the latest prices are little short of disastrous and we are thus certain to see some further consolidations and terminations. Not a great time for gold followers, but those who truly believe in precious metals are unlikely to be swayed from their course – but may yet face further trials and tribulations before things start to improve. Timing is everything! Iranians, apparently surprised that the candidate whom a majority of them had backed (over six harder-line candidates) had won, poured into the streets and hailed a victory “for the people.” To be sure, it was a carefully controlled election: all candidates who might actually have challenged Supreme Leader Ayatollah Ali Khamenei’s authority were disqualified in advance. But, within those limits, the government allowed the people’s votes to be counted. Next door, in Turkey, the West’s favorite Islamic democrat, Prime Minister Recep Tayyip Erdoğan, was using bulldozers, tear gas, water cannon, and rubber bullets to clear central Istanbul’s Taksim Square and Gezi Park of peaceful protesters who would not bend to his will. Erdoğan’s theory of government seems to be that, because he was elected by a majority of Turks who still support him, anyone who opposes him is a terrorist or a pawn of sinister foreign forces. He appears to see no room for legitimate opposition, for the idea that today’s majority can be tomorrow’s minority and that the rules of the game must allow both to be heard. Four years ago, when hundreds of thousands of young Iranians flooded the streets of Tehran to protest outgoing President Mahmoud Ahmadinejad’s reelection, the Iranian government shot at them with live rounds. The protests were brutally repressed, with participants rounded up, imprisoned, and reportedly raped and tortured, damaging the regime’s standing not only among Iranians, but also among the millions of young Arabs across the Middle East and North Africa who would soon rise up to demand their social and political rights. Erdoğan was initially a hero to those same crowds. He toured Egypt, Tunisia, and Libya in September 2011 and received a hero’s welcome. He presented his Justice and Development Party as the Muslim equivalent of Europe’s Christian Democratic parties, combining economic growth, anti-corruption policies, and free elections. Today, Erdoğan’s government looks much more like the governments against which young Arabs rose, targeting journalists and accusing a “high-interest-rate lobby” of speculators of seeking to harm the Turkish economy. He has also taken a page from Syrian President Bashar al-Assad’s book, not only demonizing the demonstrators, but also going after the medical personnel who care for them and the hoteliers who shelter them. Turkey is certainly not Iran, and vice versa. But comparing current developments in the two countries yields lessons that resonate across the Middle East and North Africa. Most important, in a world that at least pays lip service to democracy, the voice of “the people” matters. It confers a kind of legitimacy that simply cannot be acquired by force and that is ultimately the surest guarantee of investment and growth. Of course, “the people” are never truly one: fickle in their loyalties and subject to demagoguery, they often unite in opposition but fracture once in command. Nonetheless, the willingness of large numbers of people to stand up (or sit in) for their right to be heard, despite the imminent possibility of violent repression, announces to their fellow citizens and the world that something has gone very wrong. Khamenei and his fellow guardians of Iran’s Islamic revolution were able to weather the 2009 storm, but their façade of legitimate power was collapsing. Somewhat paradoxically, the election of Rowhani will strengthen their political hand. And, though Erdoğan may well be able to force the protest genie back into the bottle, he will be significantly weakened until the next Turkish election. A second lesson of recent events in Iran and Turkey is that the spectrum of government in the Middle East and North Africa runs from autocracy and theocracy to varieties of managed democracy. No country qualifies as a full liberal democracy – that is, as a political system that combines free and fair elections with constitutional protections of individual rights for all its citizens. Iran has long qualified as what the American foreign-policy analyst Fareed Zakaria has called an “illiberal democracy.” Turkey, for its part, seemed to be on a path toward true liberal democracy, notwithstanding the criticism of those who pointed to Erdoğan’s jailing of journalists and generals; it is now backsliding for all the world to see. A final lesson is that the test of a secure government is whether it can bear to hear itself criticized, even excoriated. Erdoğan seems outraged, above all, by Turkish citizens’ temerity to speak up against him. After Erdoğan appeared to broker a deal with the protesters regarding the fate of Gezi Park, the planned demolition of which sparked the initial demonstrations, one of my Twitter followers expressed his satisfaction at the outcome and said the demonstrators should now go home, because “three weeks is enough.” But enough for what? Meanwhile, in Syria, “the people” rose up, were fired upon, took up arms, were manipulated, and began a cycle of sectarian killing and revenge that can only fracture them further. Neither Iran nor Turkey has reached that point. Nonetheless, peaceful protest, lawsuits, political negotiation, compromise, and ultimately fresh elections would provide both countries – and many others in the region and beyond – a far better way to resolve their internal tensions than the approaches their leaders currently employ. Anne-Marie Slaughter, a former director of policy planning in the US State Department (2009-2011) and a former dean of the Woodrow Wilson School of Public and International Affairs, is Professor of Politics and International Affairs at Princeton University. She is the author of The Idea That Is America: Keeping Faith with Our Values in a Dangerous World.